Sign up now to receive an email invitation to get Early Bird rates when registration opens for the Get in Rhythm. Stay in Rhythm.® Atrial Fibrillation Patient Conference. You’ll also receive regular updates with the latest afib news and research. We have invited the world's TOP AFIB EXPERTS to speak to you and your family members so you get THE absolute latest information on research, treatment options, and management techniques! Could 2018 be the year you get your life back? If you attend, it just might be! With what you learn during the conference, you'll be more likely to be able to do the things you WANT to do – hobbies, travel, working, and taking care of your family – without fear. You’ll get THE most up-to-date research and in-depth knowledge from afib experts, so you can better manage your treatment, and possibly even get rid of afib. You'll also have the opportunity to talk with our world-renowned afib experts and ask them your questions. You'll walk away with solid ideas and clarity for better managing your afib. 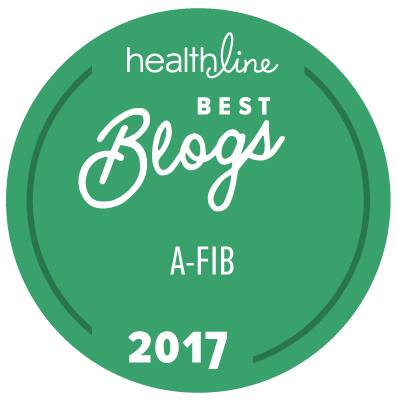 You'll join a vibrant community of others living with afib (members have told us they love the support and camaraderie). There’s nothing more powerful than attending in person. Don't wait another moment to commit to learning more about how to control your afib, or even eliminate it. Reserve your special email invitation now by signing up for the newsletter at the top of this page. Once you've signed up and have received our thank you page, then check out the rest of our site, starting with the items from the menu on the right side of the page, or go to our Get Started Learning About Afib Guide here (or click on the button to the right).